Stellenbosch MBA students visit Nottingham Business School for an international study visit. Our partnered institute - The University of Stellenbosch Business School - welcomed NBS in June 2017, and in July, we returned the favour, welcoming the Master of Business Administration (MBA) students all the way from South Africa. In June 2017 Stellenbosch Business School welcomed our Executive MBA and MBA students, along with Programme Leader Dr Phil Considine and Senior Lecturer Tabani Ndlovu, to their University Campus based in Bellville, Cape Town. 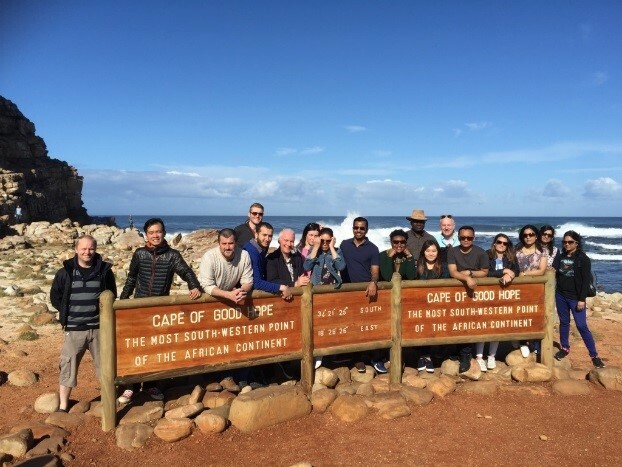 Involving in-depth discussions on leadership and sustainability, balanced by sightseeing tours of the Cape, Dr Phil Considine blogs about how this trip was an invaluable experience for the Nottingham Business School students. Stellenbosch MBA students arrived at Nottingham Business School 15 July. Their trip included exclusive visits to some of Nottingham’s most famous landmarks and presentations from NTU senior lecturers, company executives and guided tours around BioCity and Rolls Royce Learning and Development Centre following the theme of ‘Managing Change in Times of Turbulence’, including key tour stops of Nottingham. Pete Murphy delivered a session covering ‘The UK Context; Brexit and new challenges’. Julie Holland, Head of Executive Education and Corporate Relations at Nottingham Business School, delivered their second session ‘Changes as a capability’ which came before the impressive and exclusive tour around the Rolls Royce Learning and Development Centre, where our MBA’s had opportunity to hear from Trevor Orman, Director of Company Transformation and David Ashworth, Operations Executive and key in International Learning. 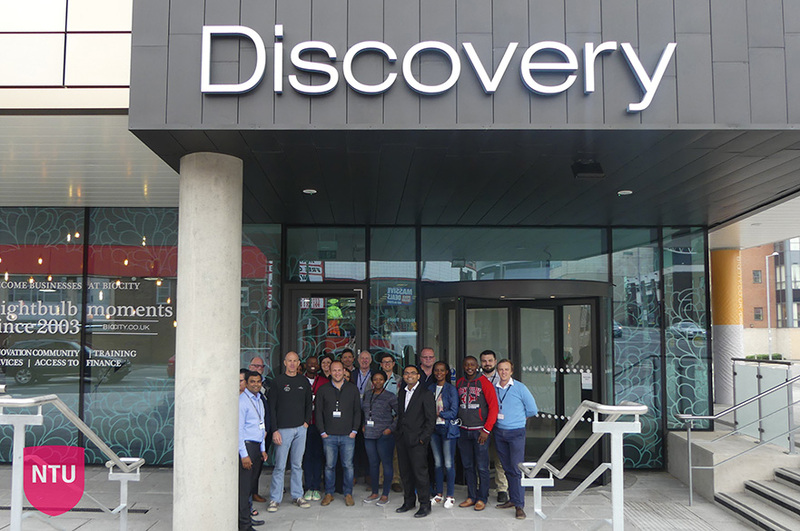 At BioCity - Nottingham’s Life Sciences Creation and Business Development hub – current Executive MBA student Suketu Shah and Group Head of Lab Services for BioCity, presented key themes on Life Sciences and Business Administration, alongside Dhaval Patel, also an EMBA student, based at BioCity. As the week rounded up, it was time for our MBA’s to present their suggestions on the development of the NHS to Gerry McSorley the Midlands Regional Manager, Chair of Health Education England and Ed Attenborough, Chief Executive Officer of Attenborough Dental. If our MBA courses are of interest to you, or you wish to learn more, follow us on LinkedIn or read full details of our MBA and EMBA.